How does System Center Orchestrator stack up against similar tools? Free learning courses with Microsoft MVP Sander Berkouwer. Get a firm grasp on your IT environment when you learn Active Directory best practices. Watch all, or choose any amount, of this three-part webinar series to improve your skills. From the basics to virtualization and backup, we got you covered. Get the jumpstart on Active Directory. This week in our newsletter we're going to catch up with some of the latest news, issues, happenings and recommendations from the fields of IT security and data privacy. And of course we also have all the other usual stuff you're used to reading in our popular newsletter which goes out each week to almost 100,000 IT professionals around the globe. The Australian state of Tasmania has the largest albino white Kangaroos anywhere, as depicted in comparison to a normal sized car, on the road-side signs. They are big enough to lift up the front of your car. Sounds like the germ of a script idea for the next Rocky movie by Sylvester Stallone! Hi Mitch, a big thanks to all those who provided feedback regarding the clipboard apps, this prompted me to go back and have another look at Ditto which I have now managed to get working for the way I work. Hands down CopyQ. I've tried them all. Very surprised no one else mentioned it. This is a mature clipboard manager with both a standard application and a PortableApp to run from USB. 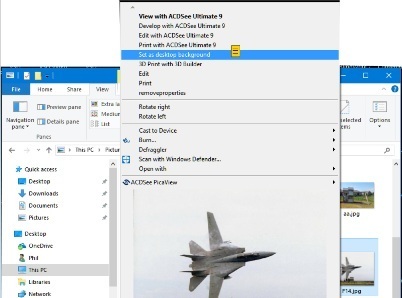 Clipmate allows you to create collections, store snippets, and search back through time. It also has the ability to share your clipboard database. There is a free trial, and worth the $35.95 license. Best wishes, and thanks for a great newsletter. Would you like to learn the basics of relational databases? Join us for this look at SQL Database fundamentals, along with those of database management systems and database components. Get an in-depth introduction to the terminology, concepts, and skills you need to understand database objects, administration, security, and management tools. Plus, explore T-SQL scripts, database queries, and data types. Start with a look at creating tables, inserting data, and querying data in tables. Then, learn about data manipulation, optimize database performance, and work with non-relational data. Get practical help on basic database administration, including installation and configuration, backup and restore, security, monitoring, and maintenance. Take this SQL Database tutorial to prepare for additional online courses for database administrators (DBAs), developers, data scientists, and big data specialists. Check it out! 98% of British homes have carpeted floors. In Italy, only 2% do. Question: Why do the British favor having carpets so much? Fact: More than 80 percent of Australians engage in some kind of gambling. Get your FREE NFR Key for NEW Veeam Backup for Microsoft Office 365. This license allows for non production use of the tool in your home lab without any feature limitations. As always thanks for your great newsletter. 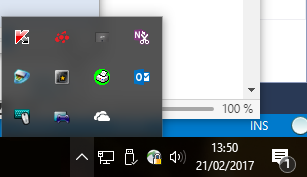 I have to agree with John from England on the first issue Susan states, the second works okay too, but if you right click on the Taskbar and choose settings, all you have to do is scroll down and then choose 'select which icons appear on the taskbar' (just a small scroll is added to what 7, 8/8.1 offered). Windows 10 has changes, but that's kind of the idea of advancement in any realm; there are going to be changes, if there weren't we'd still be slaying dinosaurs with clubs and arrows, and walking everywhere we go. Some will like/some will not like the changes, but to criticize without full research, or when a user takes the long road because they missed the shorter path, presents a disservice to all including the user. With new things you have to work with and experiment while you learn the intricacies, and never rush to judgment. Seems too many favor the latter part of that statement these days. Does the same in Firefox, Opera and Chrome. As enterprises look to evolve their cloud strategies and deploy more cloud technologies in 2017, many are seeking new skills from their IT staff. So how you can pique the interest of IT hiring managers? In this tip, learn what steps can nudge resume’s toward the top of the Human Resources pile. Application layering offers an alternative to app virtualization or installing apps directly on the virtual desktop, in turn saving IT valuable resources. In this exclusive tip, discover what’s in each app layer and the benefits you could gain from this approach. High availability (HA) is an incredible valuable concept, one that helps safeguard systems and components against failure. Without one, you risk wasted time, resources, and possibly loss of business. Learn how you can improve your (HA) strategy with these five tips, including figuring out where HA fits into your infrastructure, how to create a HA strategy, how to test HA, and more. As your business grows, do you find yourself with more resources to deploy, manage, and optimize – a mix of old and new equipment that must be highly tuned to run the business? In this tip, find out how orchestration tools can help ease this burden and explore three Microsoft tools designed to orchestrate IT resources.